Living in Malvern has its own perks. Malvern is located in the south eastern suburbs of Melbourne and is closer to the city than most other suburbs. The proximity to the city makes Malvern a great suburb to invest in a residential property. Want to make the residential property more marketable at an affordable price? Invest in CPR Gutter guard systems. CPR Gutter Protection has been providing gutter guard and roofing solutions to Victorian suburbs, for over 20 years including Malvern and it is surrounding suburbs. CPR Gutter guards are made from 100% Australian manufactured high-grade aluminium. 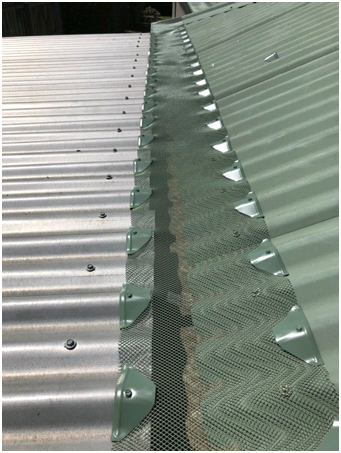 The gutter guard mesh comes in different sizes and designs to meet the gutter guard requirements of Malvern homes. CPR Gutter Protection system provides robust, weather resistance at an affordable price. This will help you to boost the market value of your residential property without spending excess money. CPR Gutter Protection team is professional installers. The professional installers are fully insured. Our installers also offer complimentary gutter cleaning with the installation of gutter guard system. When properly installed, a gutter guard system can offer multiple benefits to your property. Gutter guards stop the leaves and debris from accumulating in the gutters along with free flowing of rainwater. The rainwater collected for rainwater harvesting system has lesser amount of unwanted leaves and debris. Want to increase the property value of your Malvern home? Call CPR Gutter Protection at 0431 239 512 to help you with gutter guard installation, be it in Malvern or surrounding suburbs.